If your school group is 47 or under (including students and teachers), please see below for accommodation options at Castlereagh Christian Conference Centre. 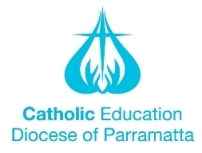 Check out their website at —http://www.castlereaghacademy.net.au/ to see images and information about our site and facilities. The Conference Centre is located within the Castlereagh Heritage Precinct around the corner to Penrith Lakes EEC. Staying there is easy: For $75.00 per student per day, we will provide catered accommodation for up to 47 persons. Lunch, Dinner and Breakfast is included as well as bedlinen and bathroom towels. The required Supervising Teachers are accommodated free of charge. Minimum group size 20 persons.